Geography exam will never bother you again! 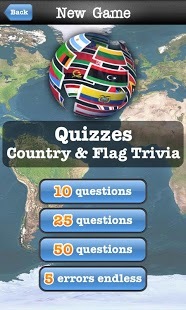 Get “Geography Quiz” app and upgrade your knowledge on country flags and capital cities around the world! Link countries with their capital city! Recognize the country by the shape of its borders! 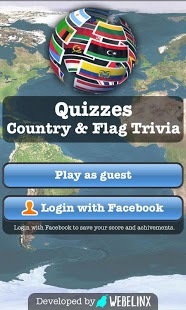 Identify flag design, select official language and historic sites of a country, and share your score with friends on Facebook! - 4 Different Game Modes-10 Questions, 25 Questions, 50 Questions and 5 Errors – Out! - Choose the correct answer among A, B, C or D! - Answer the questions quickly and avoid giving incorrect answers to get higher rankings! - Answer the question worth more than 2000 points and get Scandalous Score Booster! - Endless Mode–5 Errors – Out! – Your game lasts until you choose 5 incorrect answers! - Log in with Facebook to share your score and achievements! 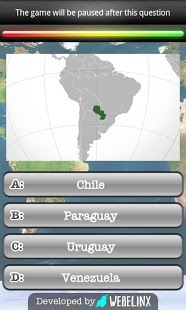 Check your knowledge of geography trivia by answering simple questions! 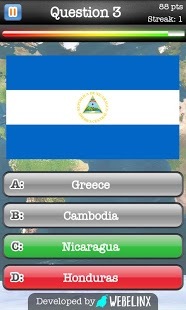 All you have to do is guess the name of the country it’s about! 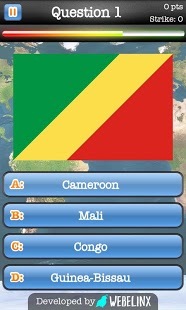 In addition to geography questions, you can also watch images of national flags or country borders and choose the correct answer! Test how well you know world geography by identifying landmarks from all over the world! See how well you know the official languages used worldwide and impress your friend with your newly acquired knowledge! Quiz games are the best way to learn new things, and above all they are extremely fun! You can play them with your friends, anytime, anywhere and make your friends learn something new too!